I believe that we are inextricably tied to our roots. 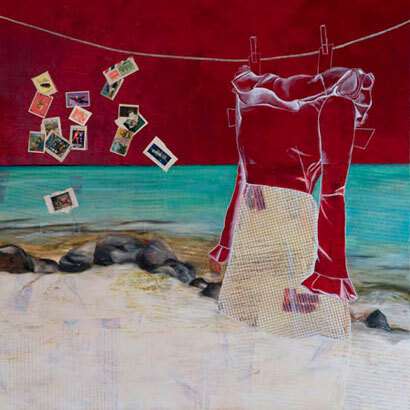 My work draws on my experiences growing up in southern Florida as a Cuban refugee. By merging my personal history with typical Cuban iconography, I fashion narratives and explore the interplay of two and three dimensions. I use found objects and materials and think of them as artifacts or place holders for memory. Through my use of scattered images of home and place and time, I attempt to reclaim my Cuban culture. I want the viewer to feel like they know more about the immigrant’s process of cultural assimilation and the search for identity in a new world.